How to increase the pregnancy rates and reduce total cost of fertility per cow? This is possible with the best and most advanced automatic heat detection system. It significantly improves the pregnancy rates and reduces the quantity of open days, it facilitates the vet’s visits and also reduces labor and hormonal treatments costs. This system provides a fine monitoring of the herd’s comfort and sensible detection of health problems through resting time, resting bout and rest per bout. 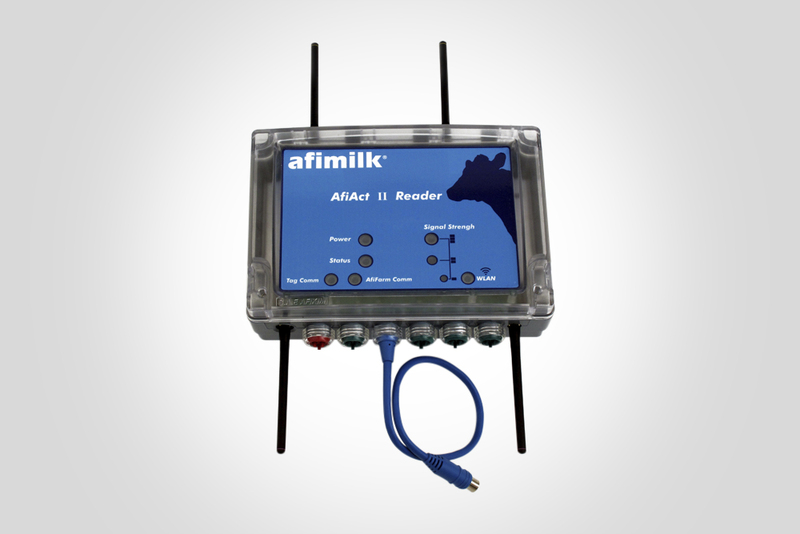 It gathers cow behavior information wherever you are. Highest heat detection rates, lower false alerts rates. Monitoring every 15 minute with updated infortmation every hour. Indicates decrease in activity (sick cows). Early detection of anestrus, abortions and clinical disorders. Record of all the heats thoughout a cow’s life. Fertility rates, breeding rates per bull and inseminator. 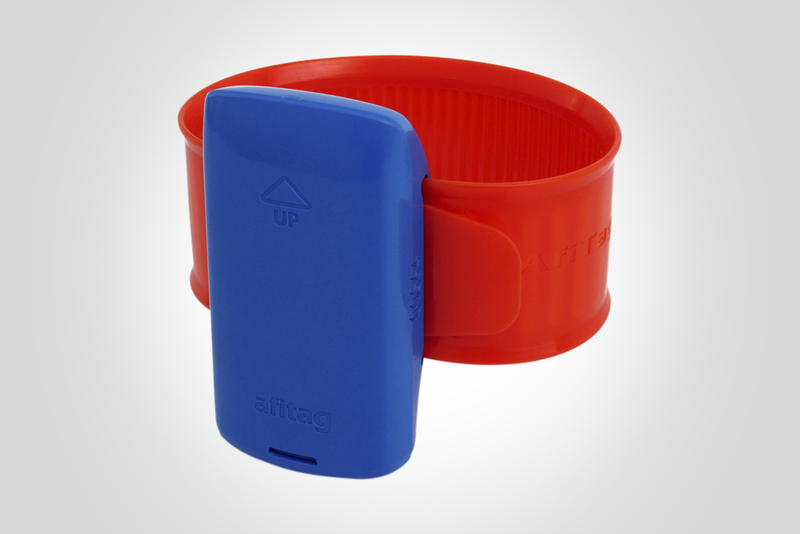 Besides functioning as a milking parlor identification device, the AfiTag II counts with functions such as: step count, standing time and resting time. Available as an independent system. Accesible from the web in any kind of device - smartphone, tablet, laptop. 24/7/365. 100% compatible today’s identification systems (Ideal control). Open system for future aplications. 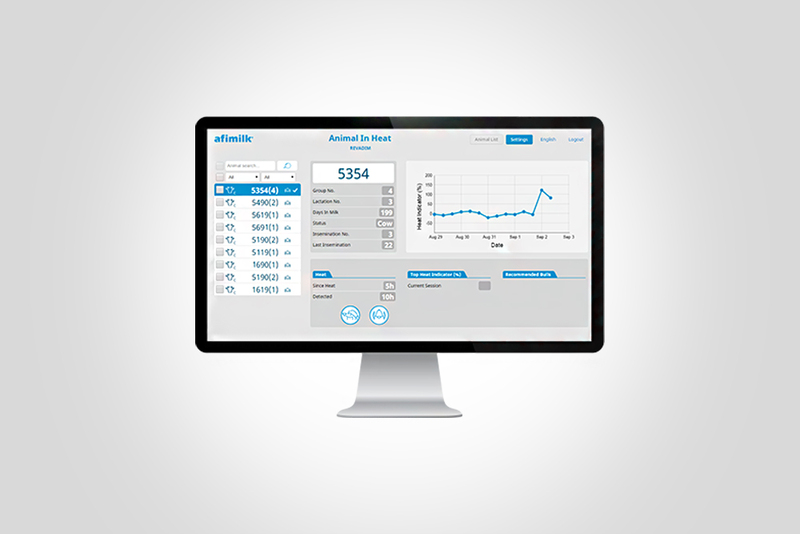 It is just an ideal system to improve reproductive management in farms that already count with pedometers for heat detection and identification.